Great For Karaoke, Fun With Friends and One-Man Bands! 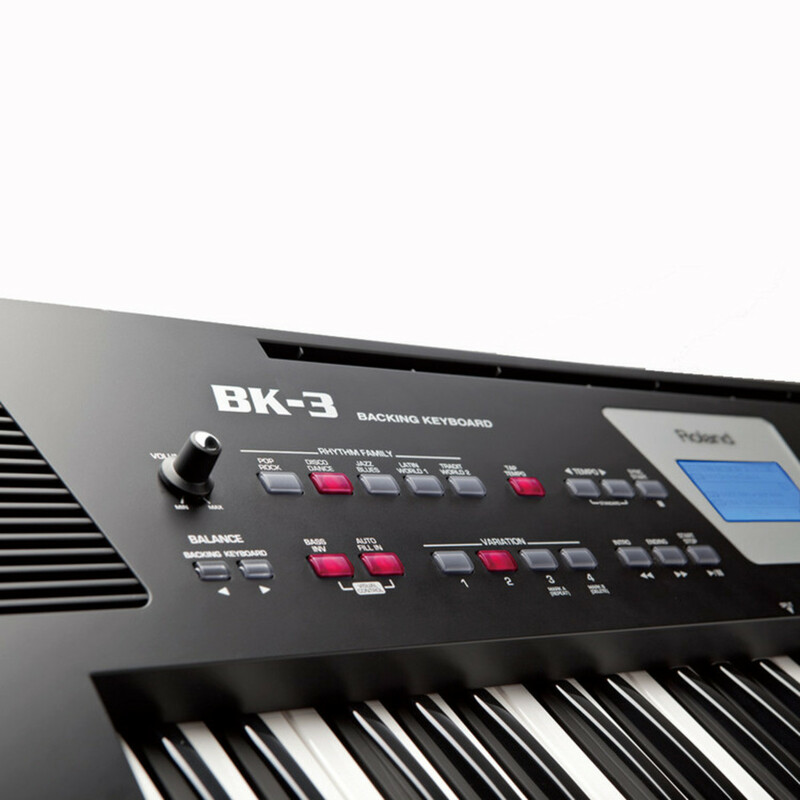 The BK-3 Backing Keyboard is the perfect entry level auto-accompaniment instrument. 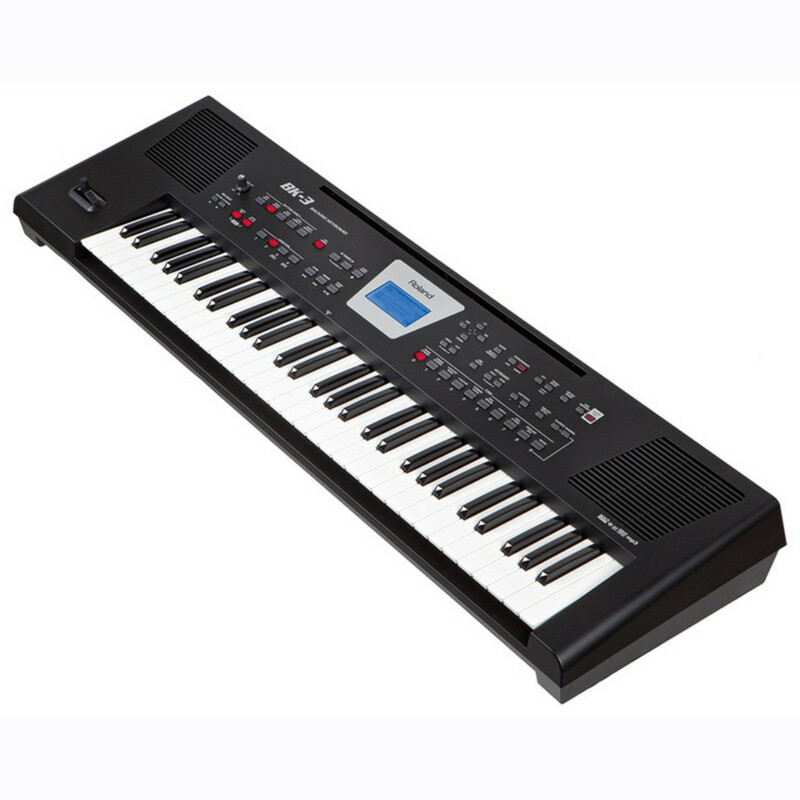 This portable keyboard puts the power of a full ensemble under the solo entertainer or home player's fingertips! 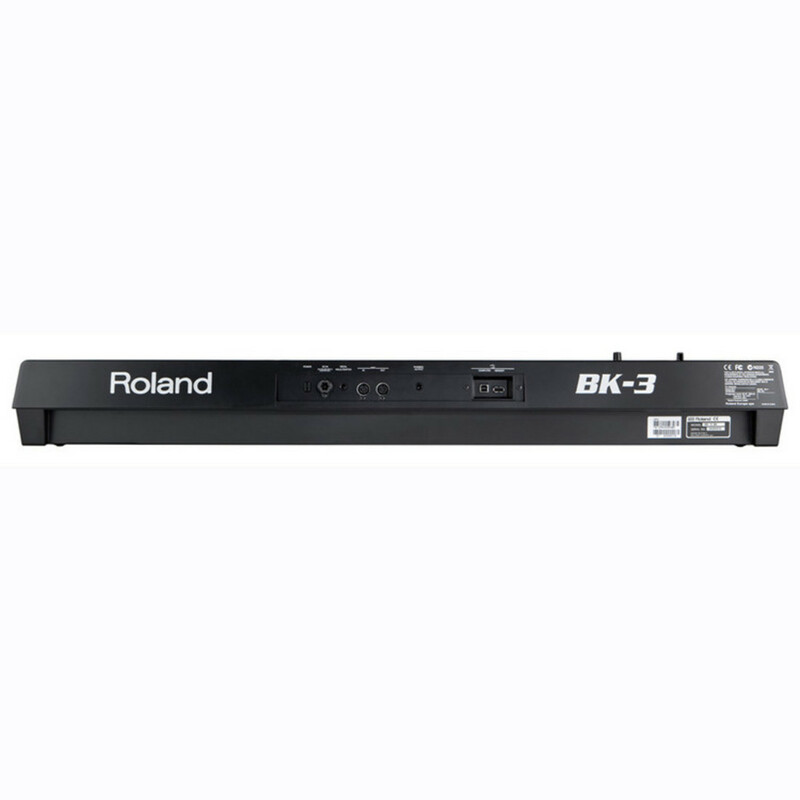 Whether performing on stage, playing with friends or practising alone the BK-3 is a great investment. Whichever genre of music you're looking for the BK-3 is packed with sounds and rhythms from around the world including Eastern Europe, Latin America and Asia. With over 850 tones and 50 drum kits you'll be spoilt for choice when it comes to voices for melody playing and accompaniment. 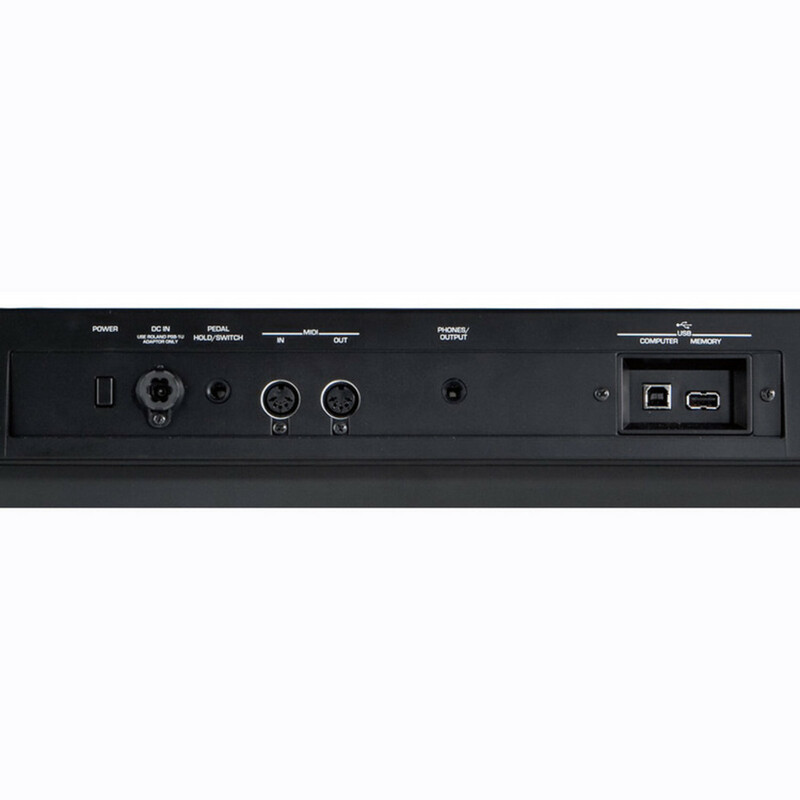 Compatibility with GM2, GS and XG Lite formats ensures high-quality with Standard MIDI files. 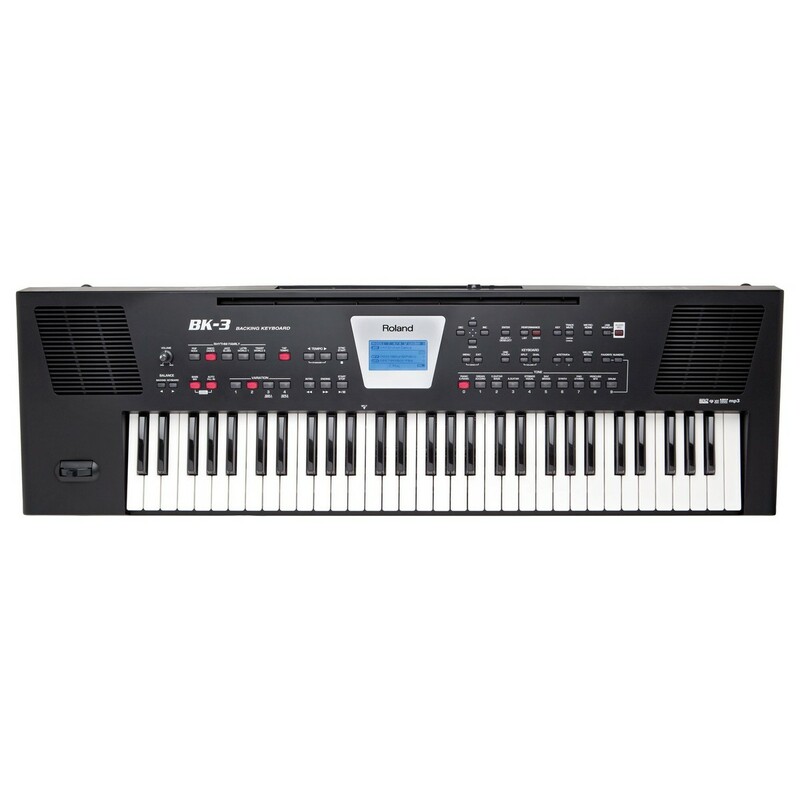 This BK-3 61 note keyboard has been programmed by Roland's master technicians from around the world creating special rhythms and a wide range of colourful, authentic music for you to choose from. The top level Roland sound engine provides masses of great sounds whilst the front panel is intuitive and user friendly with clearly labelled buttons, dedicated controls and a clear LCD display. Upload Backing Via USB and Sing Karaoke! The USB memory can be used to play a number of external backing formats including WAV, MP3, SMF and Roland rhythms (BK, E, G and VA series). Even when using audio files, the playback tempo or song key can easily be adjusted to suit your vocal range. This, along with the Center Cancel function, which reduces the volume of track vocals, makes the BK-3 perfect for karaoke and minus-one playing. 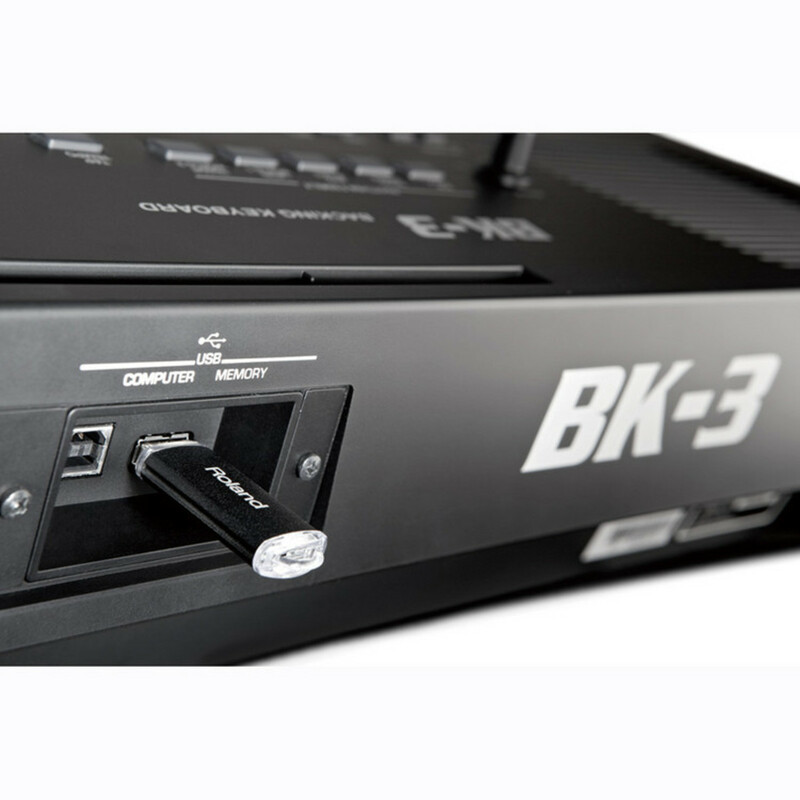 If you wish to capture your performance on the BK-3 a dedicated front panel button makes it simple and easy to record directly to USB. These recordings are saved as CD-quality WAV data so it's easy to transfer them to a computer if you want to burn them onto CDs. Auto Off function: Off, 10 min, 30 min, 240 min. Weight 7.5 kg, 16 lbs. 9 oz.